NVIDIA Update keeps your PC up-to-date with the latest NVIDIA drivers by notifying you when a new driver is available and directing you to the driver on Starting with R275 drivers, NVIDIA Update also provides automatic updates for game and program profiles, including SLI profiles. Which products are supported by NVIDIA Update? NVIDIA Update provides notifications for GeForce and ION GPUs for both desktop and notebook PCs. Other NVIDIA GPUs are not supported at this time. How do I get NVIDIA Update? When you install a Release 270 or later GeForce/ION driver from you will be presented with the option to install NVIDIA Update. How does NVIDIA Update work? Once installed on your PC, NVIDIA Update scans your hardware configuration and your current driver version to determine the appropriate driver for your NVIDIA GPUs. This information is sent to NVIDIA and matched to our driver database to check for updates. You can configure how often you want NVIDIA to check for updates. You can also configure whether or not you want notifications for beta drivers and configure whether or not you want system tray balloon notifications. What data is sent to NVIDIA? NVIDIA Update does not collect any personally identifiable information. The scan collects data necessary to recommend the correct driver update such as graphics hardware, operating system, language, and current driver version. How do I configure NVIDIA Update? There are two ways to access the NVIDIA Update control panel. The first way is via the NVIDIA Control Panel. Right-click on the windows desktop and select NVIDIA Control Panel. Navigate to the Help menu and select Updates. The second way is via the new NVIDIA logo in the windows system tray. Right-click on the logo and select Check for updates or Update preferences. Each of these methods will bring you to the NVIDIA Update control panel shown below. Select the Preferences tab if you are not already on that tab. Enable and disable NVIDIA Update. To disable, uncheck the Automatically check for updates checkbox. 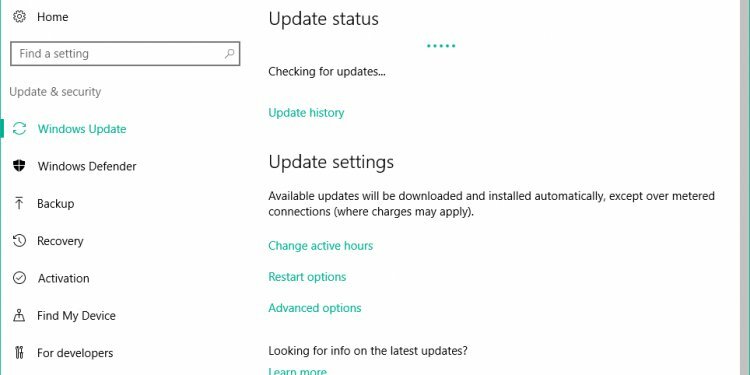 Change how often your PC will check for updates. Select your desired time period in the drop-down menu. Enable and disable system tray balloon notifications. To disable, uncheck the Notify me when graphics driver updates are available checkbox. Enable and disable beta driver notifications. To enable, check the Include beta updates checkbox. Enable and disable automatic game and program profiles, including SLI. To enable, check the Game and Program Profiles checkbox. View available and installed updates as well as manually force a search for the latest updates by clicking the Check for Updates button. If there is a new Update available, click on either the hyperlink for the update, or click on the system tray pop-up balloon when a notification appears. The hyperlink will take you to to the relevant driver page for your hardware.